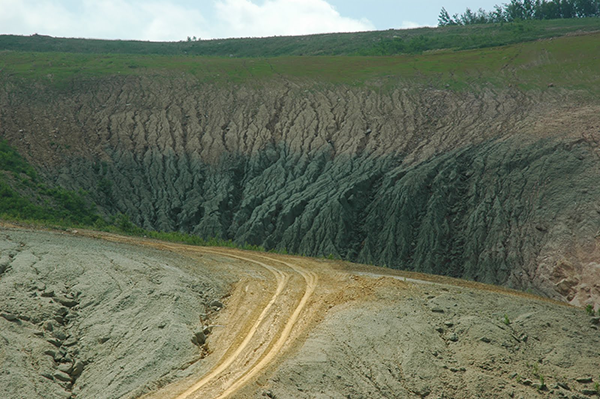 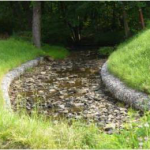 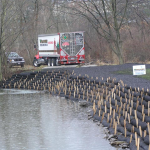 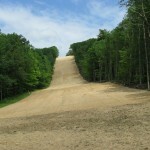 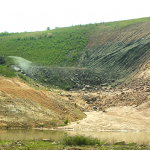 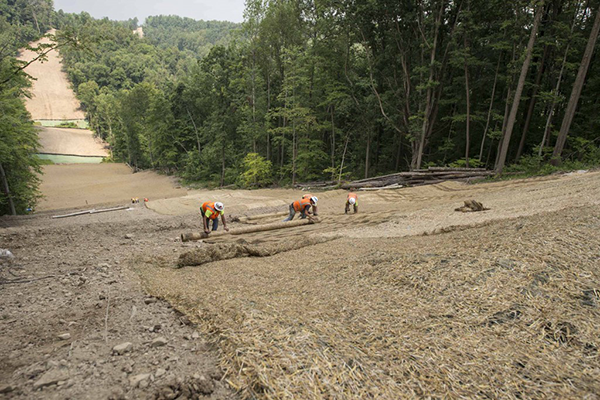 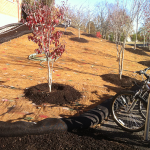 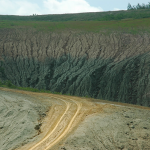 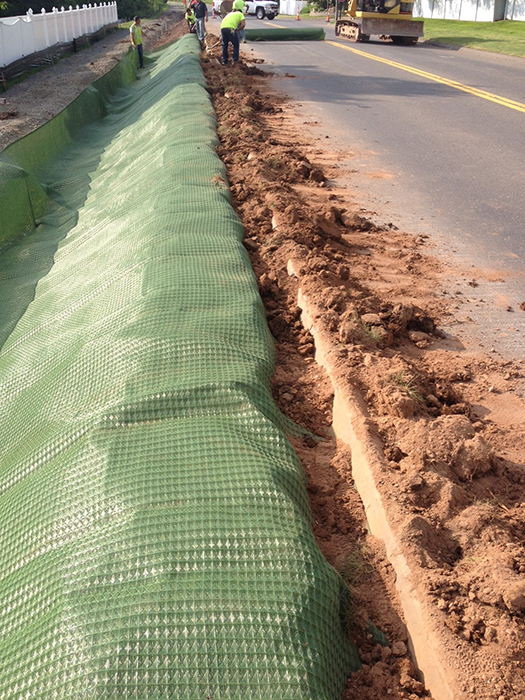 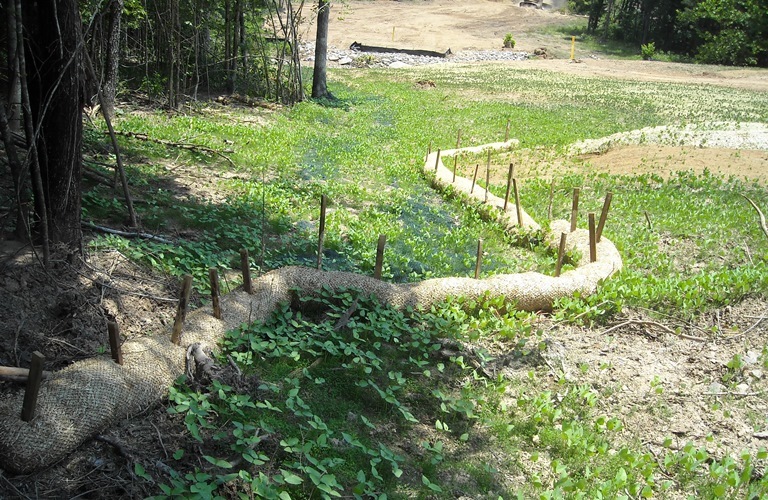 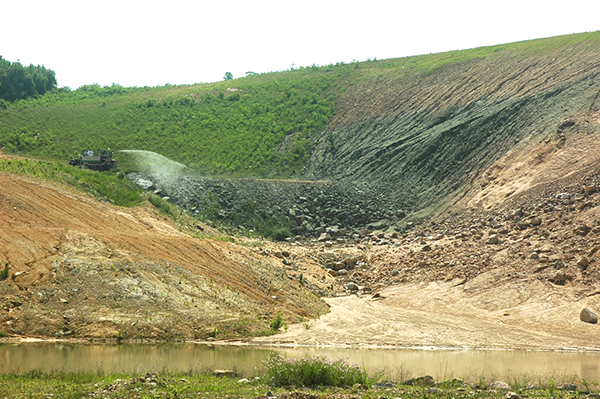 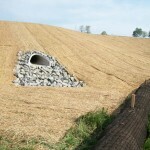 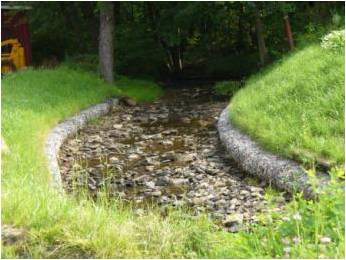 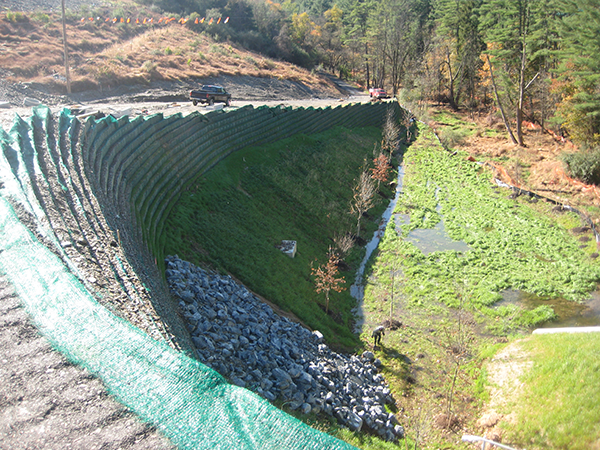 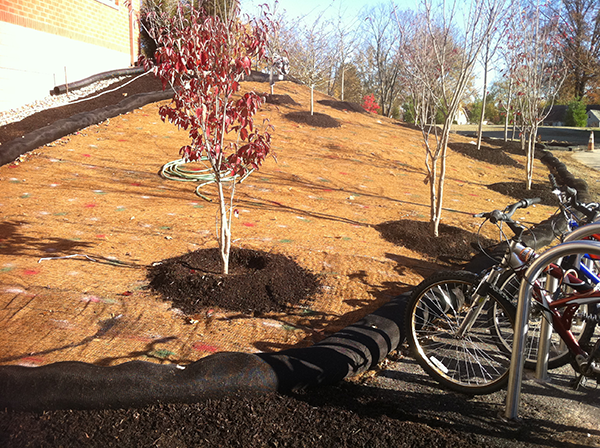 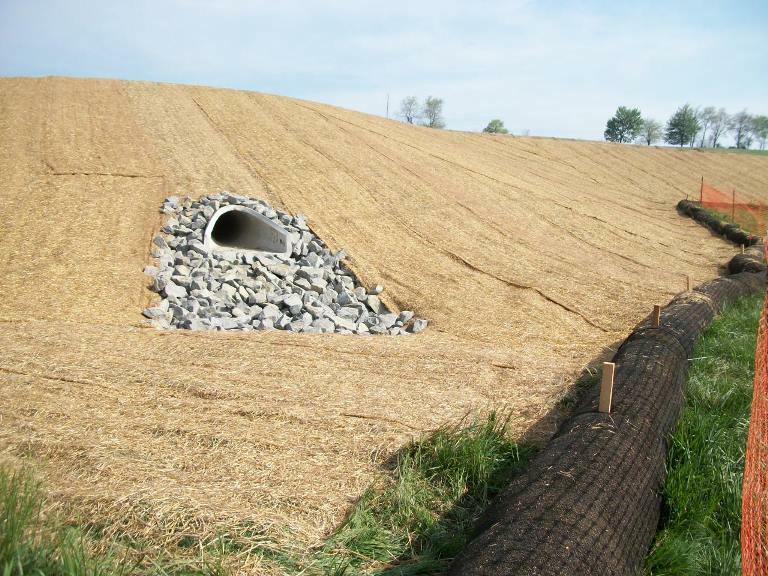 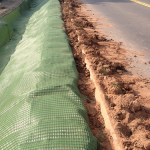 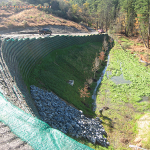 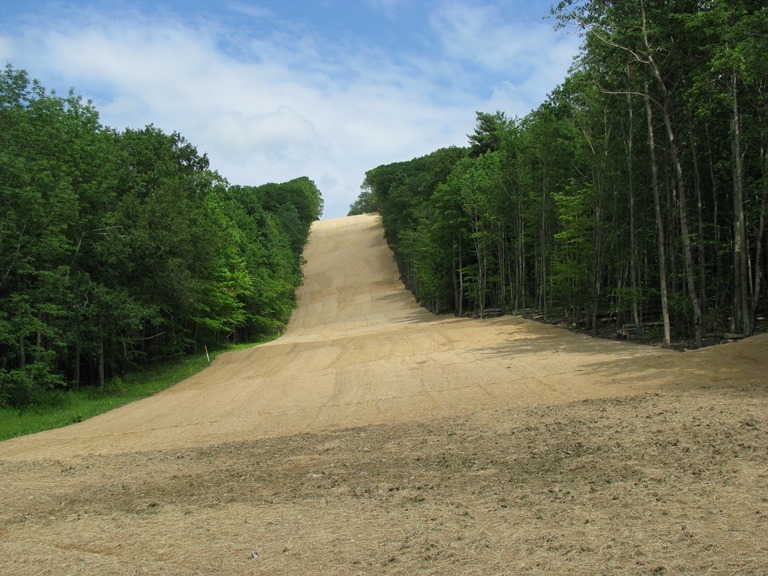 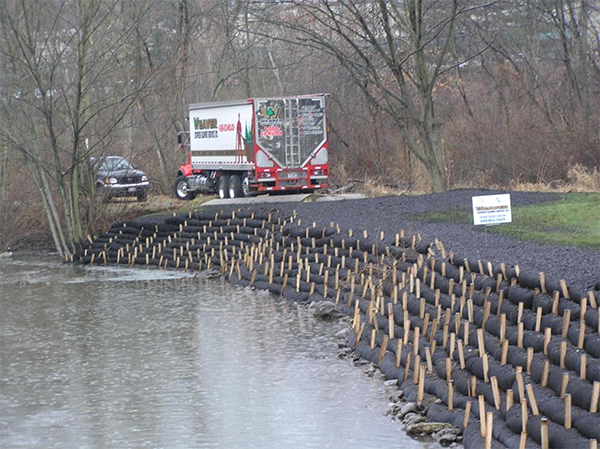 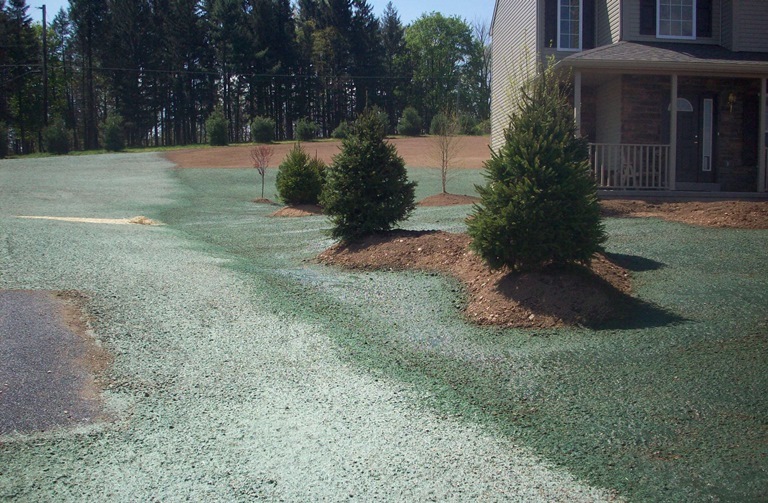 Protection of slopes and discharge point using ECM, rip-rap and compost filter sock. 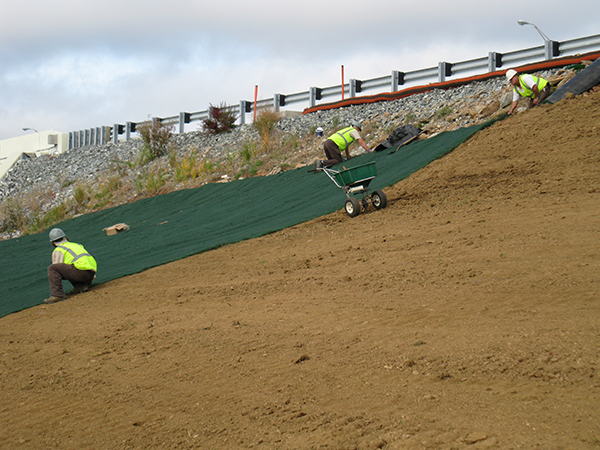 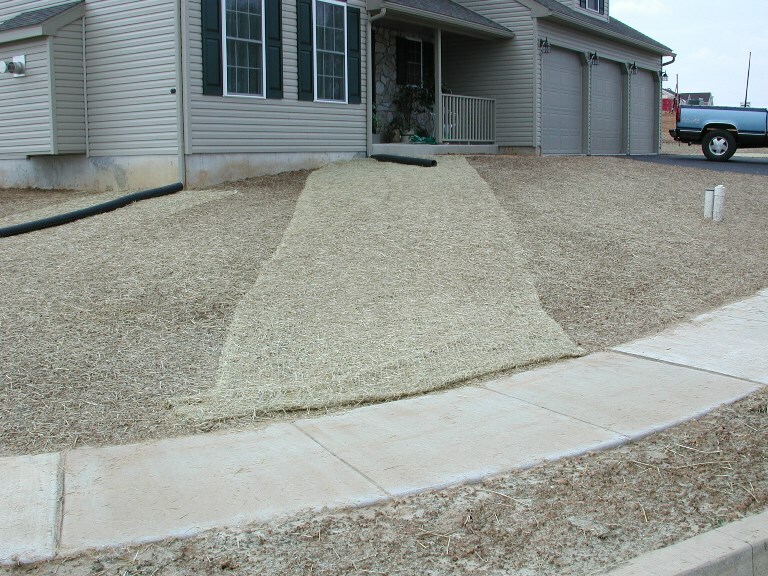 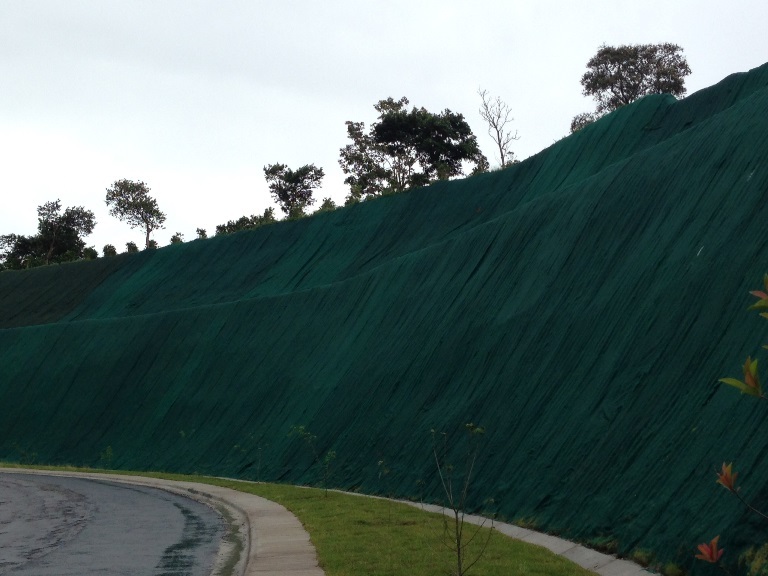 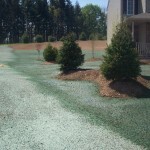 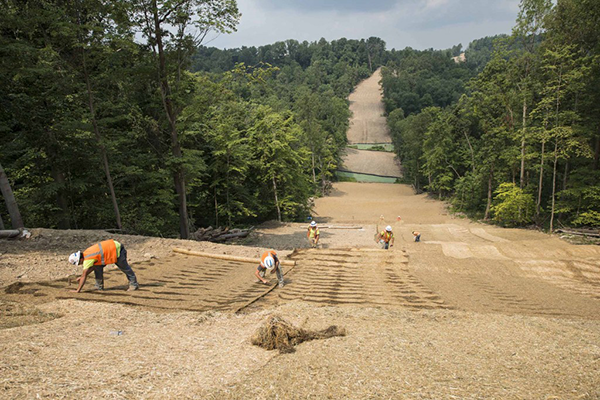 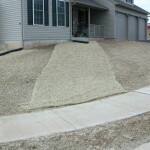 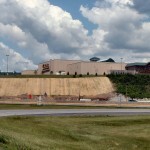 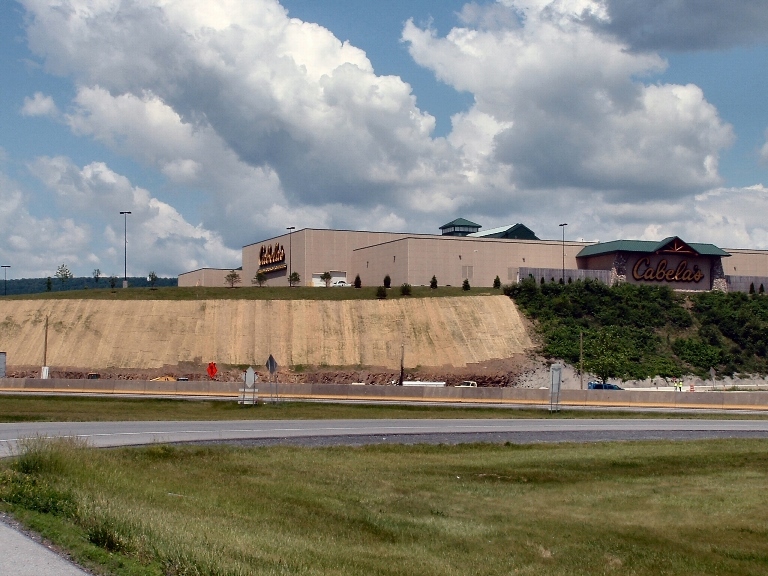 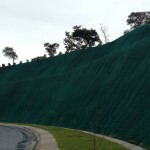 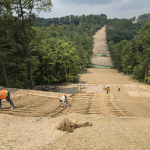 Protecting a very steep slope with TRM. 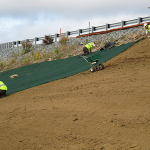 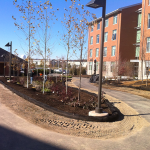 Using multiple BMPS’s on site. 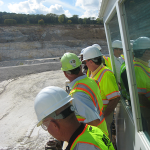 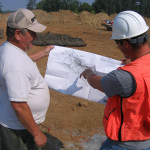 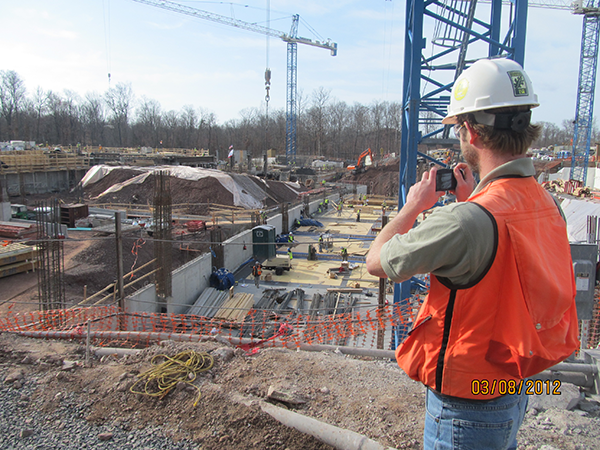 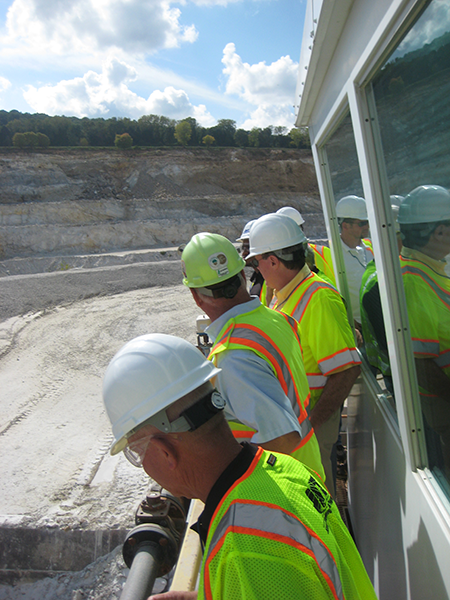 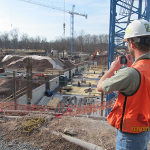 Document and photograph your inspection findings! 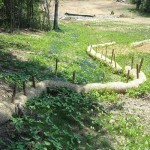 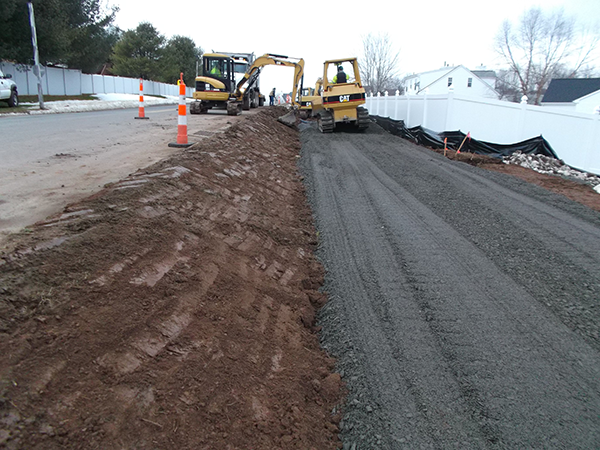 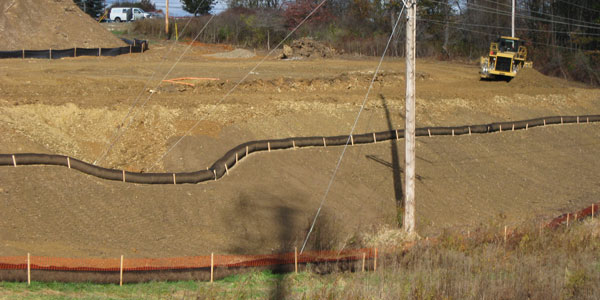 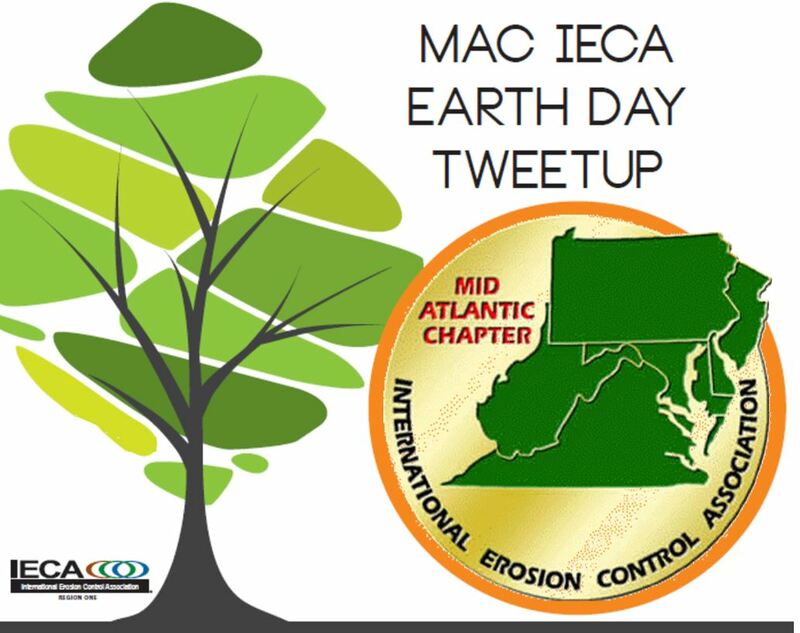 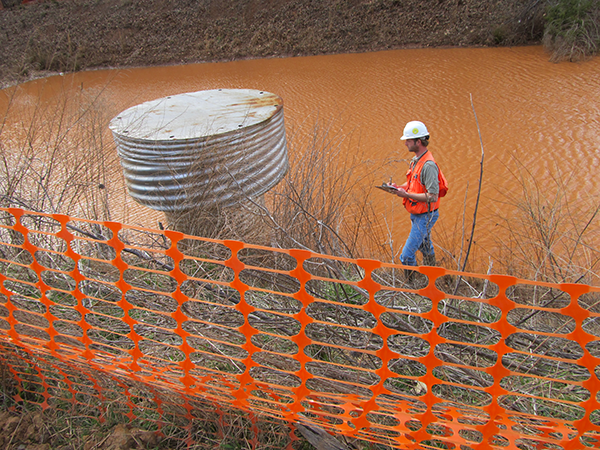 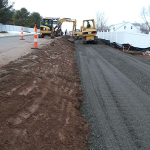 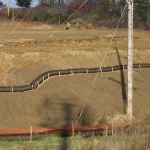 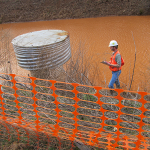 Another pipeline stabilization utilizing ECM. 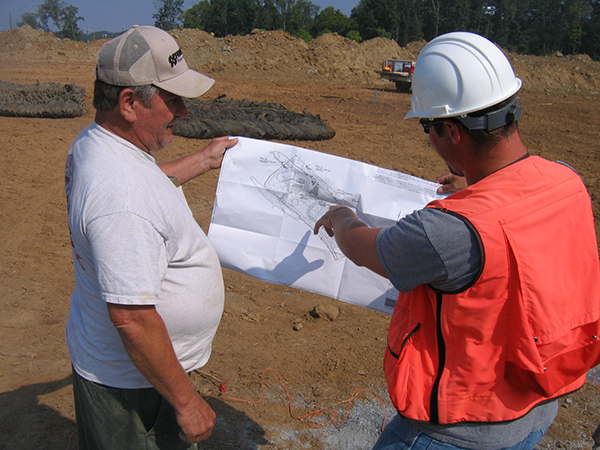 Collaboration is the key to a successful job! 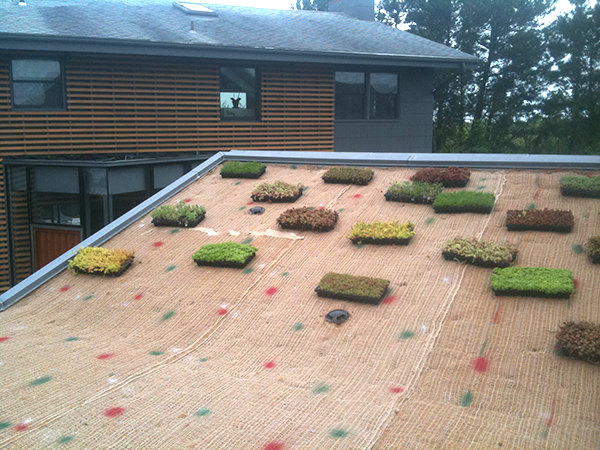 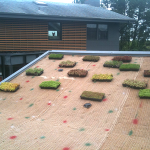 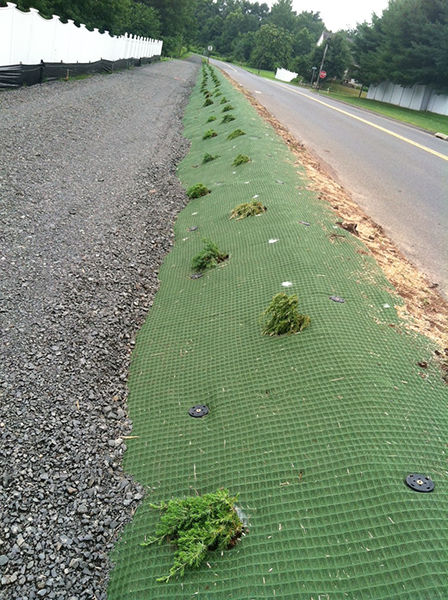 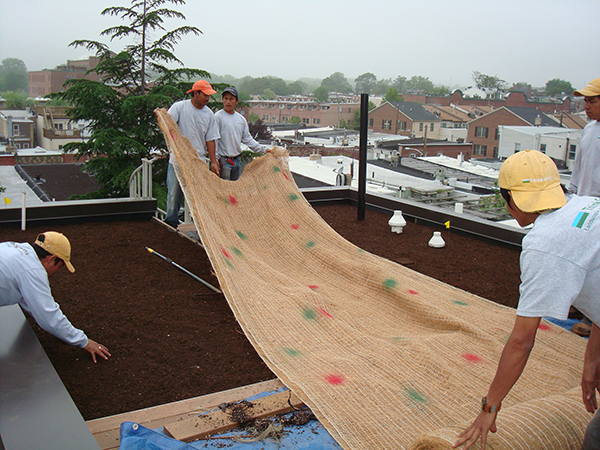 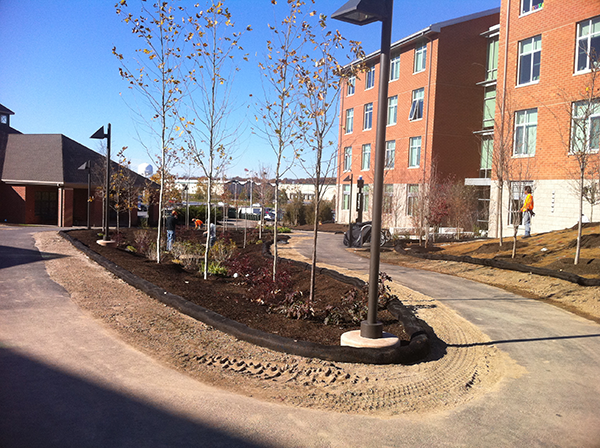 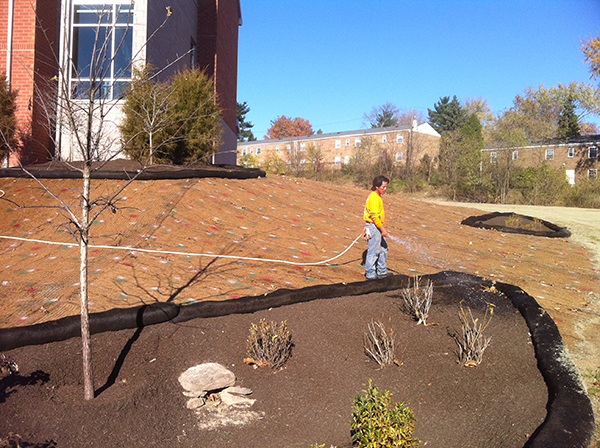 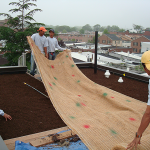 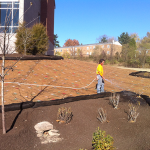 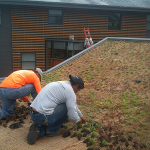 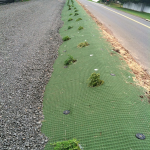 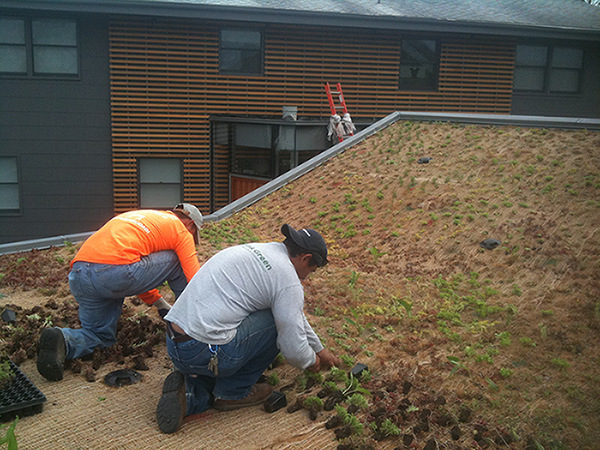 Laying out jute matting over green roof growing media.